bottom back end of the bust. of Britannia with a date below. KN just left of the date. are sometimes called the small head obverse. 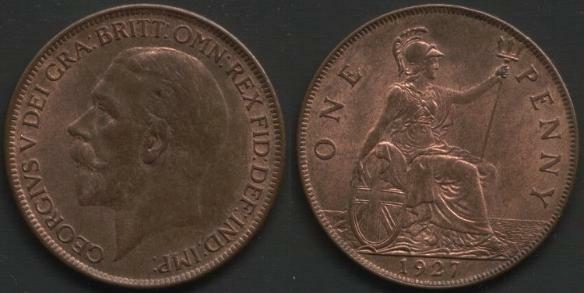 1911-1936 Bronze, 9.5 grams, 31mm Diameter. There was a big problem with "ghosting" in this series. 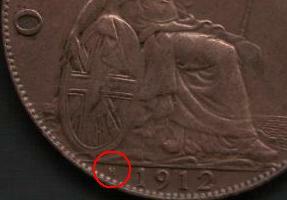 of the smaller head penny in 1928.